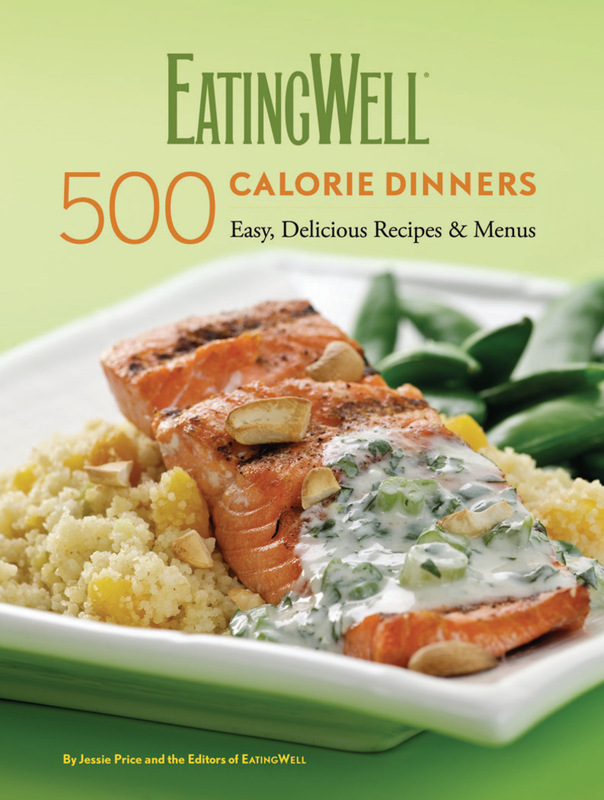 EatingWell 500-Calorie Dinners takes the guesswork out of healthy cooking by providing delicious, easy recipes and menus for dinners that come in at about 500 calories, an amount experts say will help most people lose weight without feeling deprived. Once you try the meals in this book you’ll be amazed at how well you can eat for 500 calories. One night you’ll have a steak sandwich with grilled peppers and a garlicky aioli served along with roasted red potatoes and a green salad with a tangy vinaigrette, the next night braised chicken in a paprika-spiked sauce over egg noodles with snap peas tossed with a creamy tarragon dressing. Want a glass of wine with dinner or a dessert to end the evening? We’ve included those in our menus too. Try pork chops with an orange and fennel salad along with a side of quinoa and a dish of strawberry frozen yogurt. And this book will help you to do more than just trim your waistline—it will help you to improve your heart health and reduce your risk for diabetes too. It provides solid advice from EatingWell Magazine ’s nutrition experts on what foods should be included in any healthful diet, how to figure out how many calories you need, how to determine appropriate serving sizes and estimate calories (without carting around a kitchen scale everywhere you go) and how to lose weight while still feeling satisfied. Jessie Price is Editor-in-Chief of EatingWell. She's worked on at least seven EatingWell cookbooks and is the author of the James Beard Award-winning The Simple Art of EatingWell. Price lives outside Burlington, Vermont.